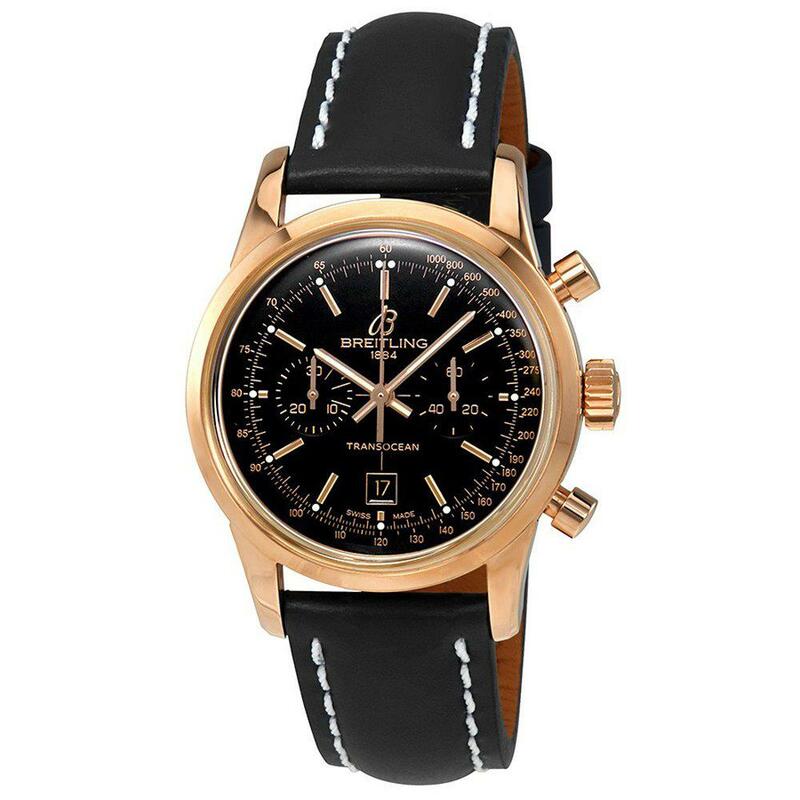 Breitling Transocean chronograph mens wristwatch with 18K rose gold case with a black leather strap. Comes with box. Case size: 38mm.